Psychology is a popular subject to learn about and one of the most popular majors at universities. What is the appeal of psychology? The subject delves into the human mind, so whether you’ve always wondered how humans think or how criminals differ from other people, psychology will satisfy your curiosity. Another great reason to learn about psychology is that it is applicable to many different careers and goals. However, sometimes another subject takes precedence for those wanting to learn more about psychology. If you have ever wondered about how you can learn more about psychology without setting foot on a college campus, you’ve come to the right place. Depending on your situation, the right solution to feeding your curiosity might be online psychology courses. 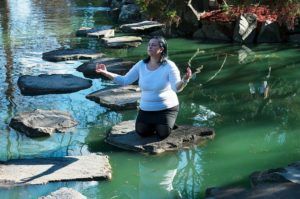 Free courses and certificates allow anyone to take a plunge into learning more about the human mind and its functions. There are many options for taking a psychology course online, so how do you find the right course for you? Psychology is the study of the human mind, its functions, and how humans behave based on the inner workings of the brain. 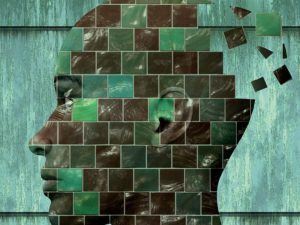 If you want to take a course in psychology, you’ll cover information about the brain and all that it encompasses, including memory and behavior. You will also learn more about human development and perhaps the idea of nature versus nurture, which remains a highly debated subject even today. Additionally, you might explore the realm of mental illness and how it presents itself in humans. In a psychology course, students essentially learn more about themselves and the others around them. But why is psychology worth learning about? Taking a course on psychology will give you the knowledge to assess the behavior of yourself and others and apply what you know to better understand human interaction. If you’ve ever wondered about your own thought process and how it works, then you can learn about it by learning about psychology. By knowing how the human brain works, you can begin to appreciate human behavior and apply that knowledge to everyday life. If you decide that psychology is the right subject for you, then the first thing you will need to ask yourself is what you are looking to get out of an online psychology course. Do you want to get in-depth about a certain topic within the realm of psychology or would you prefer to take a course that takes a broad approach to the subject? Once you have a goal in mind, you should start looking for courses that fit your personal needs. Some online courses are open access, free and available all the time. Others may have limitations on access, may cost money, and may not be available on every device. It is important to find a course that will fit your scheduling needs so as not to interfere with other obligations. If you’re a student looking to fit another course into your schedule, it might be best to find a more slow-paced, open access course that will not bog you down with work nor add more stress to your everyday life. If you have more time to dedicate to learning about psychology, you might consider taking more classes to earn more credit. Based on what courses you take, you might be able to turn that credit into a certificate or a diploma. If you are looking for a psychology course that will teach you the basics, then there are many options to access the right online psychology courses. Free courses and certificates that cover the general principles of psychology are available everywhere online. You will have many options to choose from, but the most popular format will be to find an Introduction to Psychology course. However, it might be to your benefit to get more specific and find a course that covers the basics while also catering to your needs. 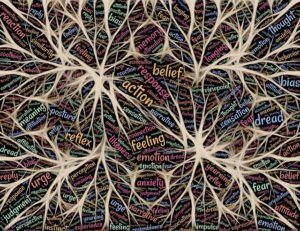 Are you looking for a really short course that will be easy to blow through or are you looking for a course that covers all general areas of psychology? Perhaps you want to find a course that provides recorded lectures rather than just notes or visuals, and you can do so by searching for such courses on a course search engine. For more specific needs, you will want to narrow down your search based on necessary criteria. Are you looking for a course that goes more in-depth about mental illness, children’s psychology, or simply about a specific area of psychology? Then you will need to assess what courses will fit your needs and tailor your search to those. The more specific information you are looking for, the more specific you will need to get in your search for the right course. Additionally, some courses might offer a heavier workload, which will actually be a benefit if you’re looking to dig deep into psychology. Courses offered by the top universities, such as Yale or Stanford, might provide better options for you if you’re looking for great quality courses, or could potentially be too difficult if you’re looking for a course that will be easily understandable. When the search becomes too complicated, it might be best to find a specific course provider or search engine. What options are available on Coursera? If you’re looking for a great resource for online courses, Coursera is a good place to browse your options. It is the world’s largest online learning platform and provides access to materials from over 2400 courses from top universities around the world. Coursera is free to join and offers many online psychology courses. Free courses and certificates will allow potential students to pick what content they are most interested in or most inclined to, and in turn, students can earn online credentials based on what courses they complete. This opportunity allows anyone to take advantage of their education online at any point in time. Courses such as “Improving your Statistical Inferences” and “Moralities of Everyday Life” provide interesting materials and engaging teaching techniques within the curriculum itself. Another benefit to Coursera is the ability to access free psychology certificates and degrees. On Coursera, there are three online psychology degrees available, including a Global Master of Public Health, a Master of Public Health, and an Instructional Design MasterTrack Certificate. There are even more options for online certificates. The University of Pennsylvania offers a specialization certificate in Foundations of Positive Psychology. Someone looking to supplement previous studies or qualifications they are working towards would benefit from earning this certificate. Someone new to the field of psychology might want to enroll in University of Toronto’s Introduction to Psychology certificate. Coursera’s format allows you to glean what you need to know from the course. On the introductory page to each course, you can find out the estimated commitment you’ll need to make to the course, the language it is offered in, how to pass the course, and the ratings given by previous learners. You can also check out the syllabus to see if you’ll cover what you want to know about psychology. There is also a frequently asked questions resource if you have any burning questions about the course. Once you’re finished with a course, you can scroll down and see other related psychology courses that you might be interested in for the future. 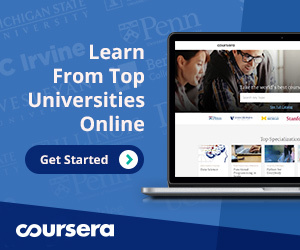 Why should you use Coursera? There are many options for psychology courses online. Whether you want to get a crash course on the basics of psychology or you want to get more in-depth about a certain area of the subject, online courses are a flexible way to access the knowledge you want. Coursera offers courses that will work for anyone. With the ability to work at any time that works for you, and with materials in various formats, you can find the right course for you on Coursera. In addition to psychology courses, Coursera offers many other options to expand your knowledge and compliment what you learned in your online psychology course. Instead of spending hours browsing the Internet for the right course, you can use the filters on Coursera to find the perfect online psychology courses. Free psychology courses and certificates are within reach on Coursera. You should use Coursera to enroll in a psychology course because you can work at your own pace, where you want and how you want. With built-in flexibility, Coursera allows you to take on a big responsibility without all of the stress. Psychology courses on Coursera are fun and accessible for everyone. One of the biggest benefits to taking a certificate in psychology with Coursera is that you get access to many high-quality materials all in the same place. If you take a course and finish, then decide you want to get more in-depth, you can take an additional psychology course and work toward a certificate. There is no hassle with Coursera. Instead of worrying about the logistics, Coursera allows you to focus on the subject of psychology.